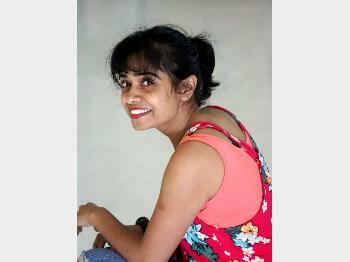 Vaishali is full time mother and restless juggler in life - exploring her creative passion through her brand "Vaishali's Art-Cart". Which was founded by her in 2016 and a name thoughtfully given by her life partner Prasad . Art and Craft now has become a way of life for her as she paints daily for 4 hours a day. That's why she focus on making only quality products rather than quantity as she have limited time to work on her limitless creations. She feels there are so many things to do but so less time to do it. Explore her creations which are not only limited to your hall rooms, living rooms or bedrooms but also to decorate your kitchens and balconies. Everything is made with utmost perfection and passion. I do not accept return. I do not accept exchange. All orders/ products which are personalized/customized cannot be cancelled. The cancellation will only be processed provided the production or dispatch has not been initiated by the designer..
Incase of damage due to shipping or incorrect product received (not as per order placed) please inform us within 2 days of receiving the courier and we will replace the same. If you are looking for personalized product it will take 15 to 21 days to get it delivered to you.